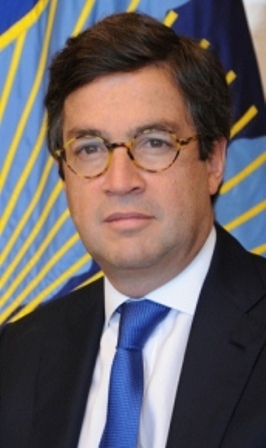 In other news…Inter-American Development Bank’s President Luis Alberto Moreno was in the country briefly today. He met in Belmopan with Prime Minister Dean Barrow during which the bank’s activities, portfolio as well as future projects were discussed. The Bank is shifting its focus and targeting education, tourism, transport, trade and tax policies. According to a release, the I.D.B. will be preparing a loan package of thirty million U.S. dollars for the education and transport sectors. In respect of education, the “Education Quality Improvement Program” was approved in June and amounts to ten U.S. million dollars for the improvement of quality of primary education and the governance of the education system through teachers’ training. A proposed twenty-million dollar loan will be used for rehabilitation work of sections of the George Price Highway and is expected to get the nod in November 2014. Before departing the country, Moreno had an on-site visit to the Cayo Welcome Center in San Ignacio which is one of the projects financed by the I.D.B. When the hell will these people learn not to give money to this corrupt gov. Are they idiots or what whenever any one gives money to this gov. Three quarter of the money goes into their pockets and the rest goes to the project anyone deciding to help this country fu gods sake do not give the money to this corrupt gov. Do the project yourself but don’t give them the money. It’s money time! Ca-ching Ca-ching. On a warm summer’s eve, Ali BaBa-rrow met up the IDB and conned them. How could he do this? Ali BaBa-rrow is a gambler, and he knows how to conned them. He knows when to be a victim. He is getting monies to repair the George Price road. Today is 22nd of July, 2014. Let’s revisit five years from now. The monies will be gone, and the George Price road will still be in dire need of those repairs. By the way, can someone tell us, how many homes Barrow owns in Florida and California?